In our rapidly changing world, today’s mathematics students need a repertoire of knowledge and skills that are more diverse, complex, and integrated than any previous generation. improve students’ school mathematics. Principles and Standards includes four grade bands:pre-k-2, 3-5, 6-8 and 9-12. There is a common set of five content standards throughout the grades: Number and operation, algebra, geometry, measurement and date analysis and probability. Each content standard includes a set of goals applicable to all grade bands followed by grade-band chapters that provide specific expectations for what students should know. Problem solving is an integral part of mathematics. By solving mathematical problems, students acquire ways of thinking, habits of persistence and curiosity, and positive confidence. Mathematical reasoning and proof offer powerful ways of developing and expressing insights about a wide range of phenomena. By exploring phenomena, justifying results, and using mathematical conjectures in all content areas and—with different expectations of sophistication—at all grade levels, students should see and expect that mathematics makes sense. Mathematical communication is a way of sharing ideas and clarifying understanding. Connections-Mathematics is not a collection of separate strands or standards. Through instruction that emphasizes the interrelatedness of mathematical ideas, students learn not only mathematics but also about the utility of mathematics. Mathematical ideas can be represented in a variety of ways: pictures, concrete materials, tables, graphs, number and letter symbols, spreadsheet displays, and so on. The ways in which mathematical ideas are represented is essential to how people understand and use those ideas. The layout and physical resourcing of the classroom environment can significantly affect how students and teachers work within it. With proper structures and supports, classrooms will assist the students to make sense of mathematics of what they know. Students will be mentally engaged for the new ideas to be interconnected in a rich web of interrelated ideas. Students must find relevant ideas they possessed and to bring forth on the development of the new idea. Thus, students will reflective when they engage in interesting problems in which they use their prior knowledge as they search for solutions and create new ideas in process. According constructivism (Jean Piaget) and sociocultural (Lev Vygotsky) theories, the best learning opportunities are those engage learners in using their own knowledge and experience to solve problems through social interactions and reflections. Mathematics is a creative discipline. It stimulates a child's thinking and allow the child to discover a more efficient solution to a problem or figuring out the hidden connections with much perseverance and positive attitude. Mathematics utilizes a universal language that is shared all over the world. 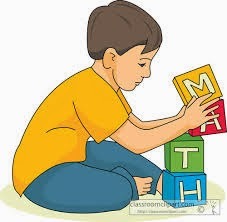 With the basics of math skills, your children will be able to solve real-life problems, learn to reason and to connect ideas logically. Moreover, having solid math skills will opens a world of opportunity for your child to have better access to higher-level careers.